doing the table manner, decorating and tableware always full of fun. 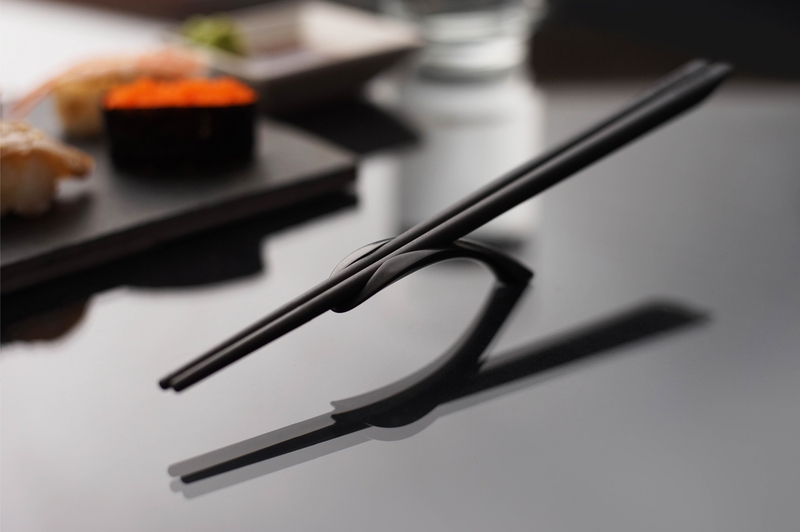 The Chopsticks as the topic, and using ” the art of the table” as the concept to make our product, “Balanced chopsticks rest”. This product can explain the relationship of chopsticks and chopsticks holder, catching your attention with statue-liked appearance. The principle of balance and the center of gravity by scientific thinking means the highest realm of chasing everything balanced. The best of this product is that we use the PBT heat-resistant plastic material. And the chopsticks we chose the slip resistant design to let you easily grip the food. As for the beauty, the special design in the extremity makes it look more elegant. There are two ways to put on the chopsticks ─ balanced hang on it or rely on it, letting chopsticks no longer to put on the table straightly. also, chopsticks rest can be the subject oftalk in the beautiful dinner.